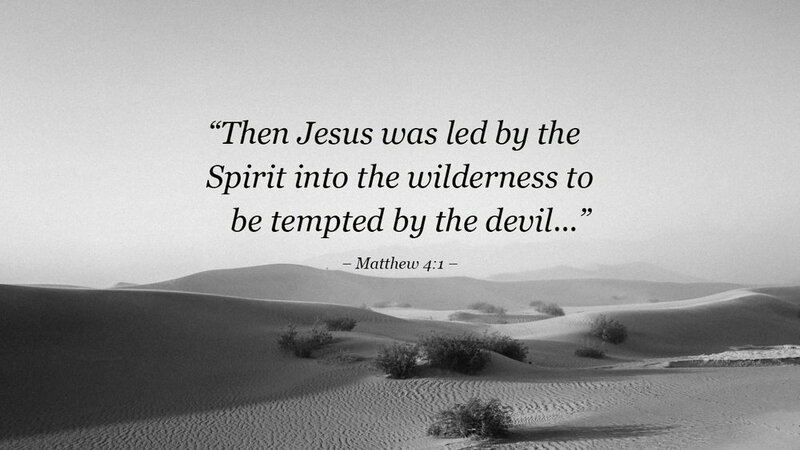 God the Son, and God the Holy Spirit, have some how gotten side tracked from our every day lives. That is not to say that we do not believe in Jesus and the Holy Spirit, but miss the important connection they have with God the Father. This lack of connection can leave our spiritual practices devoid of joy, laughter, and a sort of playfulness. This great expression of God’s love can be found in the Hebrew Scripture’s, “The Song of Songs.” Can there ever be found a more loving, tender, out-pouring expression of who God is? In Richard Rohr’s book, The Divine Dance, he describes God’s love, as a dance. God dances with us, and interacts with us and constantly invites us into a relationship. In Jesus this relationship encompasses every human emotion and life experience, even the experience of death. God also shares with us his Holy Spirit. Through this sharing we are caught up in the God who is love, and we become a part of God’s very nature, which is love. When we enter the Divine Dance, we return to that garden, where our first parents lived in a state of original goodness. Like David, who danced before the Ark of the Covenant, may we be inspired to dance before God’s presence the world. May our prayer reflect our belief in the holy presence of God, whose son once became flesh, and who still is becoming flesh, and his Holy Spirit who hovered over the abyss, and who continues to dance upon the earth. So we pray, so we believe, and so we live, in the joyful expectation of his coming again. The writer, Carl Sandburg wrote, “a baby is God’s opinion that life should go on.” A baby is the sign God chose to reveal his simplicity. God makes himself small for us because he does not want us to be overwhelmed by his strength. In this act of Mary giving birth, he takes away our fear of his greatness and asks only for our love. We respond to God’s love in the holy child by stooping down, as did the shepherds, when they stopped what they were busy about, and humbled themselves to stoop and peer into the cave at Bethlehem. A baby’s love invites us to stop what we are busy about, and simply spend a quiet moment to hold and to be held. How our world needs to stop what it is busy about, the violence, the hate, the shootings, the pain we cause each other through our greed, and our need to stand in power over other people. May the gift of God’s love, given to us in the Holy Christ child, Jesus, dispel the darkness that surrounds us, and fill us with new hope, new faith, and a deep conviction that life should continue. “O God, who wonderfully created the dignity of human nature and still more wonderfully restored it, grant we pray,” this Christmas, “that we may share in the divinity of Christ, who humbled himself to share in our humanity.” (from the opening prayer from the third Mass of Christmas) Let us share our gifts freely with others this Christmas, as he has freely given himself and shared his gifts with us. I want to thank those who have already responded with a pledge or a one-time donation. Everyone will have an opportunity in the next few weeks to respond to this once in a generation appeal. During this time, when the moral plague of sexual abuse, which is prevalent through out society, has deeply wounded our church, and caused much pain, suffering and shame among her members. As in every epidemic, action, not words are needed now to bring about the healing remedy that is needed. As in every epidemic through out history, the church did not run away or abandon those who were suffering. The church has always responded to those who are suffering. The church cannot just condemn sin or the sinner, but after the example of Christ, must offer forgiveness, mercy and hope to every one. It is only the gospel response that will bring about the changes that are needed in our church. Through prayer and fasting we will, with God’s help, end this moral plague, not only in our church, but through out society. I have included the Memorare, and the prayer to St. Michel the Archangel, in this week’s bulletin. I challenge all of us to say these prayers daily. Now is the time for the members of Christ’s body, the church, to come together in prayer and support. This is a time to challenge the leaders of our church to leads us through this dark valley, and after the example of Christ the Good Shepherd, to lead us beside restful waters, to revive our drooping spirits. As we prepare for the future, we need to think of what the future would be like with out the church. For me, it is too horrible to imagine. Now is the time to wake from sleep, this is the acceptable time. May Our Lady, Mother of the Church, guide and protect us as we continue to build on Peter’s confession of faith. As we celebrate our 85th anniversary as a parish this October 3rd, let us pray that the jaws of death and the gates of hell will not prevail against us. You have remembrance in all my prayers, and I ask for your prayers also. May God who has begun the good work in us, see it to completion. campaign and how you can participate. go over our goal, our parish will receive 60% on every dollar amount raised. honor Sr. Angelus for her many years of service to our parish and school. The rest of the money will be used for the up keep of our school. May God bless the work he has begun in us and see it to completion. Diocesan Campaign, Grateful for God’s Providence. The incarnation of God happened when the eternal word of God took on a human body by becoming flesh, as the prologue of St. John’ s gospel states: “And the word became flesh and made his dwelling among us.” Through God’s initiative, a whole new act of creation had once again taken place in the human experience. When the Virgin Mary said yes to Gabriel’s message, God was able to begin a new creation, after the manner of what we read in the book of Genesis; when God first created man and woman in his image and likeness, and saw that what he had created was indeed very good. The seasons of Advent and Christmas celebrate God’s new creation. This new creation takes the form of a regeneration of God into the human experience. In the person of his son Jesus, God begins the healing of all the effects of sin, and makes a new beginning of goodness. The joyful mysteries of the rosary reveal God’s new creation through Gabriel’s announcement to a young girl, the virgin of Nazareth. This announcement takes away her fears, fills her with joy, allows the Holy Spirit to over shadow her, and causes the child in her cousin Elizabeth’s womb to leap for joy. These mysteries go on to show how Jesus grew in wisdom and age, became obedient, was presented to the world by the prophet Simeon, and became a sign of contradiction, and a sword that would pierce Mary’s heart, that the thoughts of many hearts may be revealed. May this Christmas find us watching in prayer and our hearts filled with wonder and praise, as we celebrate God humbling himself to share our humanity, that we could share in his divinity. May the birth of Jesus in time and place, fill us with love, as we embrace the coming New Year with renewed hope, that with God, all things are possible for those who believe. That like Mary, we will say yes to God, and bring Jesus to the people of the “hill country” in our time and place. A Blessed Christmas to all of you. You, and your families, will have a special remembrance in my Masses during the Christmas season. Effective January 1st 2018, St. Peter and St. Timothy Parish will take over the territory of the former St. William Parish. Bishop Tobin will issue a special decree in the near future making these changes official. A copy of his decree will be placed in the bulletin. On the Reverse Side Of This Letter is a copy of the new parish boundaries for St. Peter and St. Timothy Parishes. I again extend a warm welcome to the former parishioners of St. William Parish who have chosen to join St. Peter parish. My prayer is that our parish will continue its mission to proclaim the Gospel, celebrate the sacraments, provide for the needs of the poor, keep providing Catholic Education, Faith Formation, Autism and the Sacraments Program, youth programs, Vacation Bible School, Adult Faith Formation, and be a community of faith and service, that continues to support the spiritual and physical needs of the people of our parish and community. 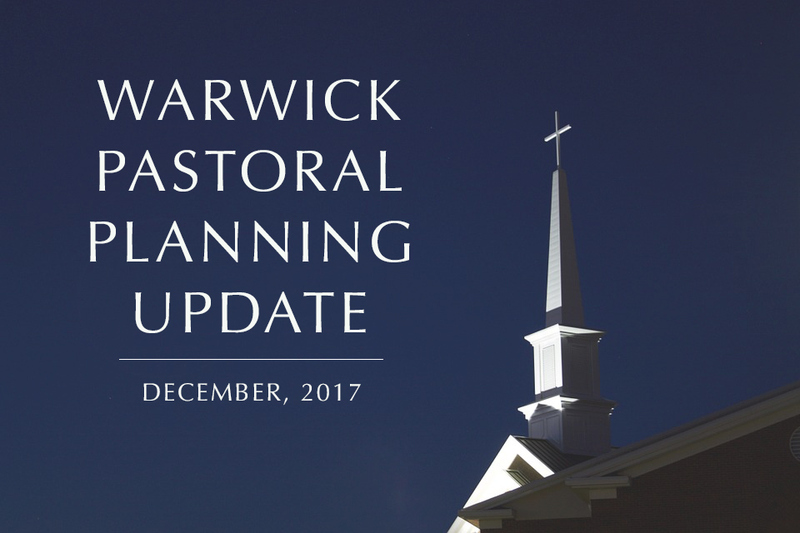 The Warwick Pastoral Planning process will continue to discuss and plan for the future needs of the Catholics of Warwick. Please continue to keep us in your prayers, that God will continue to bless our efforts to provide for the future needs of our parishes. The following is a list of what was discussed at the Warwick Pastoral Planning meeting that was held on Tuesday, June 27th at St. Rita’s Church. St. Rita and St. Timothy Parishes will be affiliating with each other with the hope of yoking within a year. The pastor of St. Timothy will become the administrator of St. Rita. St. Rose and Clement, St. Catherine, and St. Francis Parishes have begun to discuss the future of their parishes. This conversation will be ongoing for about two to three years. St. Peter’s Vacation Bible School, Autism and the Sacraments Program, Scouting Programs and Venturing Program, will be offered to all the parishes of Warwick. Former parishioners from St. Williams continue to join our parish. We extend a warm welcome to the new members of our parish family. St. Gregory Parish has not participated in any of our discussions. St. Peter Parish remains a strong and active parish at all levels. The support of every member of the parishes is needed. I urge those who are active members to reach out to those who do not participate in Liturgy or support the parish on a regular basis, by inviting them to share their time, treasure, and talent with their parish. May God continue to bless the good work he has begun in us. You have a remembrance in all my prayers. Have a great summer. Pray for us. The follower of Jesus is a person who carries within himself the death and resurrection of the one who was led as a lamb to the slaughter. In a world that is filled with so much cruelty, personal illness, suffering and death, it is a challenge to look up from our tears and see Jesus, as did Mary in the garden. Like the disciples on the road to Emmaus, we too are so overcome with grief and disappointment that we fail to recognize Jesus. It was only in the breaking of the bread that their eyes were opened. It is so hard to bridge the gap, to cross over into the Easter mystery. We try to cross over, and some how end up back in Lent. It is easier to fall back into what we know, and see, and hear, and experience, and believe that’s all there is; as the disciples to Emmaus said to Jesus, “we were hoping that he would be the one who would set us free,” but alas it has all gone so terribly wrong. In every Eucharist we are present to the mystery of death and dying, and rising. It is in the breaking of the bread that we too recognize Jesus, and believe that he lives, and that we live because of him. May Christ, that morning star now rising, that never sets, move us from merely attending Eucharist, to giving ourselves over to be transformed in Eucharist. May the risen Jesus break open our graves of despair, roll back the rocks of revenge and bitterness, that the light of Resurrection may free our bodies and spirits to rise again and again and again. A blessed Easter Season to all of you.